Hill walking interview on RTE Radio 1's Mooney Goes Wild. A very interesting interview with Helen Lawless of Mountaineering Ireland. Contains positive comments about the series of walking guidebooks published in recent years by the Collins Press. 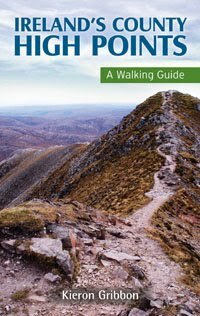 Ireland's County High Points - A Walking Guide gets a special mention and recommendation 9 minutes in. Listen to the full interview using the audio player below.